Without fail, storms sweep across the country every year causing a great deal of damage and costing individuals and business a good deal of money. Even when storm damage is covered by insurance, the companies often deny, delay or fail to pay full damage for covered storm claims. This type of conduct from insurance companies results in bad faith insurance litigation. When you need to go to court to protect your investment, contact an insurance claim lawyer. Contrary to their marketing claims, insurance companies protect their own bottom line employing thousands of professionals and agents that wrongfully deny your claim, drag out the process, or offer you less money than you deserve under your policy. The lawyers at The Law Office of Mynor E. Rodriguez P.C. 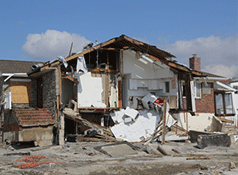 are skilled at handling every type of storm damage claim. Our lawyers level the playing field against the largest insurance companies in the country. Homeowner’s insurance is designed to protect the owner’s investment should disaster strike. All too often, though, homeowners may find themselves fighting the insurance company that they thought was there to protect them. Our insurance claim lawyer can take the fight against the insurance company off your hands. Hurricanes can be extremely scary and deadly. To pay for the damage caused by a hurricane, home and business owners often look to their insurance companies. If the insurance company takes your premium payments, but fails to honor its commitment to cover your hurricane damage, we can help. Hail of any size can cause a good deal of damage to vehicles, property, roofs, or siding. The cost of a new roof on a home or business can be substantial. If the insurance company denies, delays, or fails to pay the full value of your hail damage claim, please let us help. Whether you’ve lost a loved one in a fire or your home has been destroyed by fire, we can help. Fire damage can extend well beyond the actual fire itself. Your home or business may experience extensive damage caused by smoke or water as a result of a fire. Any disaster, whether it be a hail storm, hurricane, tornado or fire can cause extensive damage to your business. Any interruption in your normal business operations can cause extensive financial losses. We are here if you need help obtaining the full value of your business interruption claim.